Shefali Shah is a dance instructor, choreographer, performing artist, and environmental justice educator. For over 16 years Shefali has dedicated herself to the study, practice, and education of Bomba music and dance. She trained extensively and performed with members of the legendary Cepeda Family at “Maestros de Bomba en la Bahía” (2005 and 2007) an event that she co-founded and co-produced, featuring master drummers and dancers from Puerto Rico. She performed at the San Francisco Ethnic Dance Festival with Grupo Folclórico Paulé (2004) and was featured at the West Wave Dance Festival in 2008. Shefali served as Artistic Director and Choreographer for performing group Cacique y Kongo. 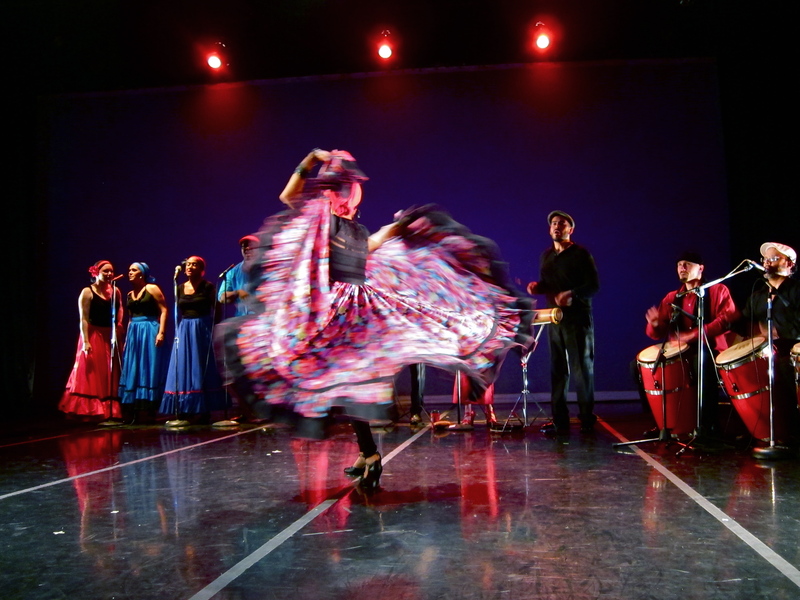 In July 2011, she co-produced “Maestros de Plena y Bomba en la Bahia,” featuring Los Pleneros de la 21 and Alma Moyo, an event that culminated in a full house groundbreaking collaborative performance with the Bay’s Aguacero, La Mixta Criolla and the NYC renowned groups at the Brava Theatre in San Francisco. Shefali is a principal dancer and choreographer with Hector Lugo and La Mixta Criolla and is the artistic director of Aguacero. She is the co-director of the Bomba y Plena Workshop at La Peña Cultural Center. She teaches weekly adult and youth Bomba dance classe and workshops, and regularly presents at universities and festivals throughout California. Shefali travels yearly to Puerto Rico to continue her practice and collaborate with practitioners and masters of Bomba music and dance. Shefali also trains in Odissi, a classical Indian dance form from Orissa, India with Guru Sri Vishnu Tattva Das, and performs with Bay Area’s Odissi Vilas.